DCA drug conspiracy theorist could posit that Merck is double-dipping. Say the Propecia manufacturer and the testosterone manufacturer are in cahoots together because Propecia victims are increasingly needing testosterone treatment due to Propecia side effects. Oh wait, Merck makes both the hair loss drug and testosterone drugs. Cha-ching! Merck makes Andriol, a popular testosterone therapy treatment for men with low testosterone levels. Andriol sales may be on the rise as more Propecia victims are diagnosed with hypogonadism – meaning a total testosterone level of less than 300 ng/dl. Trouble is, so many men are unaware that Propecia (Finasteride) can be the cause of low testosterone count. 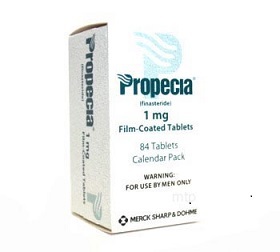 Despite reports that Propecia side effects are not as temporary as Merck wants consumers and the health community to believe, it is still easy to get a prescription. Some dermatologists are still prescribing the hair loss drug, possibly because they don’t directly hear of sexual dysfunction problems from their patients. It’s unfortunate that all dermatologists aren’t on the same page as Dr. Nelson Novick, a clinical professor of dermatology at Mount Sinai School of Medicine in New York, or that some kind of central registry is not in existence. Dr. Novick told Men’s Journal (Sept 2015) that he would not recommend Propecia to a young, sexually active man. “I took Propecia in my late 20s for a few years,” says Steve (not his real name). “I didn’t see it helping my baldness so I stopped taking it. For the past five or so years I’ve had a complete lack of sexual desire, which led to a deep depression. I can’t keep an erection and have a loss of sensation in the penile area. So why does the medical community rarely hear of persistent sexual problems, from low libido to erectile dysfunction from patients? Steve says he eventually went to a psychiatrist to treat his depression, but he never connected sexual dysfunction with Propecia until seeing a TV commercial and then reading online about the proliferation of Propecia lawsuits. Propecia users have been led to believe that sexual side effects will go away when they stop taking the drug, so when these symptoms persist, it is normal to think there is something else going on. And many men are embarrassed to bring up sexual problems, even to their family doctor. It’s like a vicious cycle: Propecia can cause sexual dysfunction and low testosterone levels, which can lead to depression. Moore also said that “the extent to which finasteride [Propecia]-related sexual impairment can be persistent is not clearly reported in any of the standard sources.” That would include Merck’s clinical trials.